AAI recruitment through online mode will starts from 25.04.2016[10.00 A.M]. 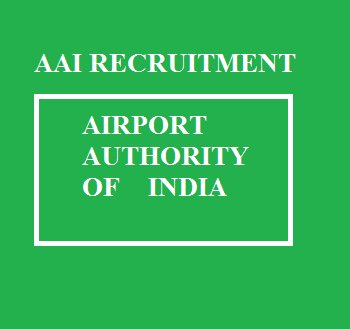 Airport authority of india recruitment closes on 25.05.2016[upto 18.00 hours] for step 1. Last date to deposit fee at state bank of india will be 27.05.2016.Step -2 online registration last date will be at 01.06.2016[upto 18.00 hours] .Only Indian Nationals can apply for this exam. 5.Junior Executive - Finance [total of 20 posts] [No experience needed for this post] .In this post final year students can apply for the online examination.If he/she pass the online exam and before the interview they must submit final result. Note: For the Employees of Government and Public Section Undertaking they should forward their applications through proper channel and will be required to produce "No Objection Certificate" at the time of interview. Note: Relaxation for age available.Kindly check the attached document.Age will be considered as on 01.06.2016. 2. 60% marks for UG & PG. Even 59.99% will not be accepted. The examination centers can be increased or decreased according to the needs.